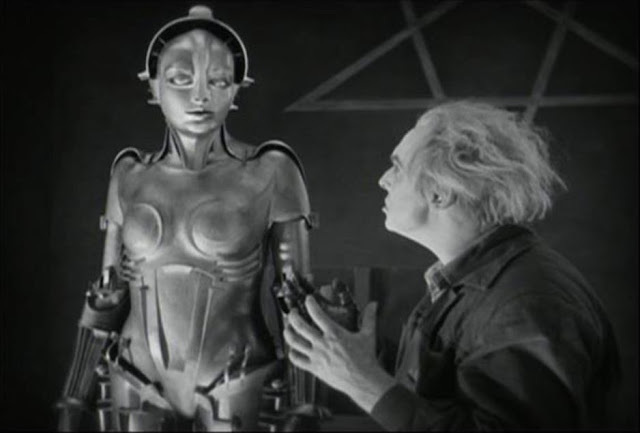 Fritz Lang's Metropolis (1927) was restored and re-released in 2010. Fritz Lang must have been a rare kind of genius. He somehow made Metropolis (1927/2010), an elaborate science fiction film so costly that it bankrupted the production company, during the Weimar Republic – and it’s a classic, to boot. That the sets and effects were done before digital is simply mind-boggling, as are some of the methods to achieve them, on par with a good magic trick. I saw the almost completely restored 2010 version, which still has a couple of scenes missing. Some of the newly discovered footage was maltreated by the archivists, so the rediscovered parts are obvious; in fact, a lot of it is crucial to the plot and characterization, and it’s fascinating to think about how badly marred a film most of the world had been seeing before. It’s accompanied by the original score by Gottfried Huppertz, slightly embellished, which probably worked well for the (supposedly) raucous contemporary audience, but for the home viewer , the omnipresent brass sounds too heavy-handed. 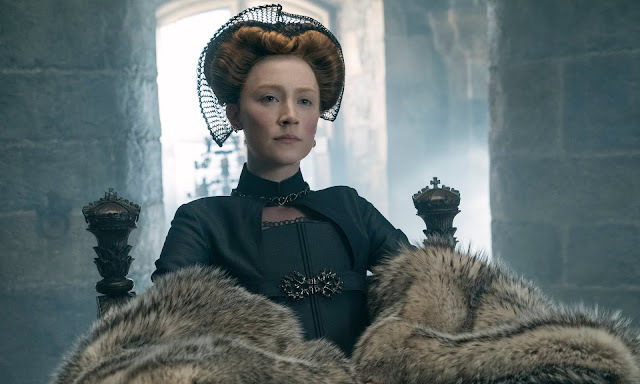 This piece contains reviews for Mary Queen of Scots,The Favourite, The Ballad of Buster Scruggs, and At Eternity’s Gate. The promise of a movie about the struggle between Queen Elizabeth I and her Scottish cousin, Mary Stuart, who claimed her right to inherit the throne of England and wound up with her head on an executioner’s block, is the chance to see a dramatic clash between two charismatic actresses. But so far it hasn’t worked out very well for the Elizabeths. In the 1971 Mary, Queen of Scots Vanessa Redgrave’s lyrical performance as Mary made a far stronger impression than Glenda Jackson’s Elizabeth (a role that she played later – and famously – on television), and in the new version, Mary Queen of Scots without the comma, Saiorse Ronan’s Mary is pretty much the whole show. That’s not the fault of Margot Robbie, who plays Elizabeth, but of Beau Willimon, who wrote the screenplay (based on John Guy’s book Queen of Scots: The True Life of Mary Stuart), and the director, Josie Rourke. They’ve chosen a dopey faux-feminist take on the historical narrative in which it’s the manipulative men in the two queens’ lives who keep messing everything up. (As if you had to transform the conflict between two female monarchs into a feminist story!) That point of view makes some sense for Mary, who is, at various times, at the mercy of the whims and power grabs of her half-brother James (James McArdle), her protector, Bothwell (Martin Compston), her homosexual husband, Henry Darnley (Jack Lowden), his father, the Earl of Lennox (Brendan Coyle), and the Protestant reformer-minister John Knox (David Tennant), who uses every opportunity to proselytize against the Catholic Mary. (He manages to rev up the Scottish populace against her “whorish” ways, though she scarcely gets to sleep with anyone.) But the notion that Elizabeth, the most powerful woman in the history of England – perhaps the most powerful monarch after Cleopatra – has to buckle to a bunch of men who are in every way her inferior is dumbfounding. This unfortunate reading of the part diminishes Robbie, who is a fine actress (especially, I think, in The Legend of Tarzan and Z for Zachariah). When these two monarchs finally meet, clandestinely, spark should fly. Instead Rourke stages their tête-à-tête so that they’re not even facing each other until halfway through the scene.